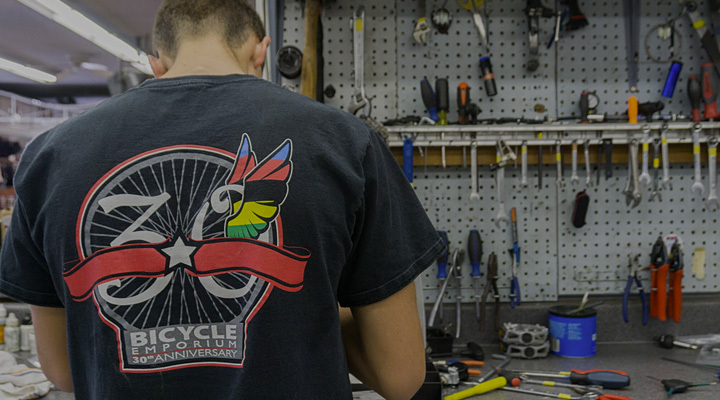 The founder and owner of Auburn’s longest standing bike shop. With more than 35 years in the cycling industry his expertise are far reaching. 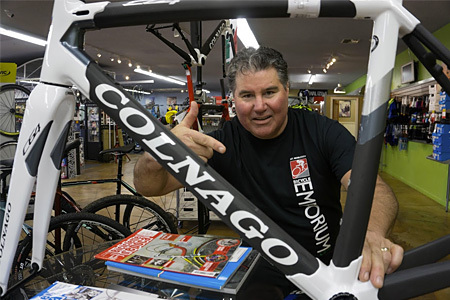 He is a passionate family man with a love for everything Italian – including the best bikes on the planet, Colnago. Bill is a Campagnolo guru, loves a good bottle of vino and traveling abroad. He has ridden in Spain, Germany, Italy, France and more. He has wined and dined with the Colnago family on numerous occasions and can answer nearly any cycling question that might come to mind, past present or future. But first and foremost he loves sharing the passion of cycling with the local community. Arguably the best mechanic in all of Northern California, Fernando our lead-mechanic and is a season veteran in the world of cycling repair. He can and will literally fix any problem you have. If there’s a way he is the will. He is both a passionate road rider as well as weekend warrior on the mountain bike. 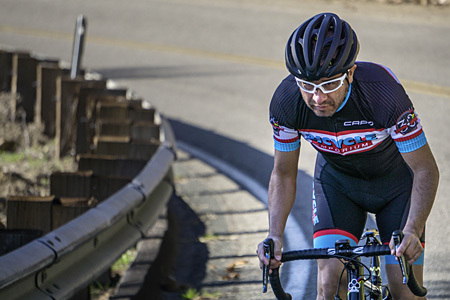 If he is not here in the shop building custom DI2 bikes or lacing wheels, hes out chasing the group at the River Ride, or doing epic lake loops with his pizanos. His passion and expertise steer our service department here at the shop providing the highest level of quality on all repairs / builds. His knowledge is vast and motive is strong, as him anything cycling and he is sure to have an answer. Travis’ is a born and breed Auburnite. He grew up riding single track literally in his backyard. His first mountain bike came from Bicycle Emporium at a young age and since that day he has kept the wheels turning. 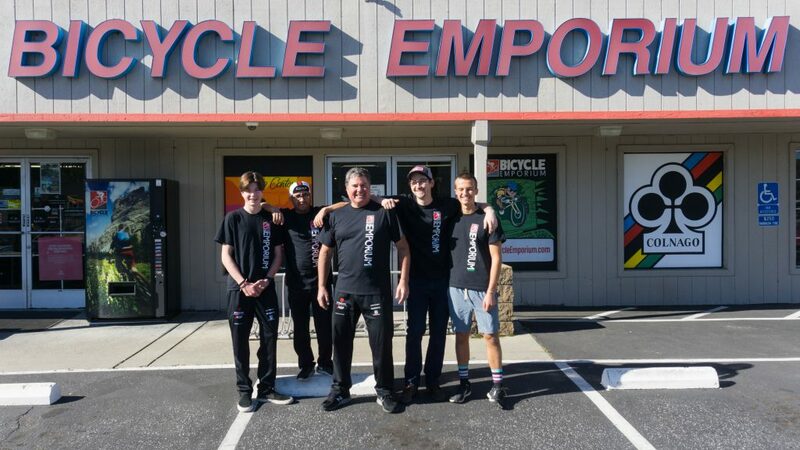 Travis developed a higher passion for the sport while attending Sonoma State and has since worked in a handful of bike stores. 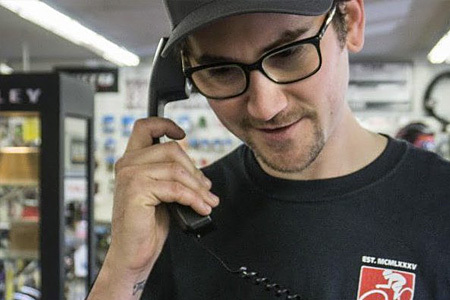 He is the residential mountain biker in the store and is always happy to talk trails, suggested routes and anything mountain bike. Travis has dabbled in road riding, dirt jumping and more but now you’ll catch him rolling a gravel adventure bike or a full suspension Trek Remedy. Need anything or have any questions, he’s the guy.